HAPPY NATIONAL LIPSTICK DAY!!! 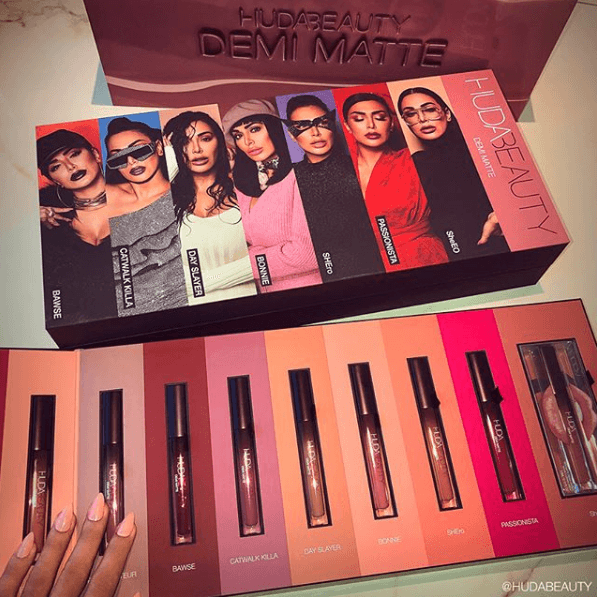 In honor of this big day, Huda Beauty is launching her NEW Demi Matte Lipsticks on Sunday, 7.29! 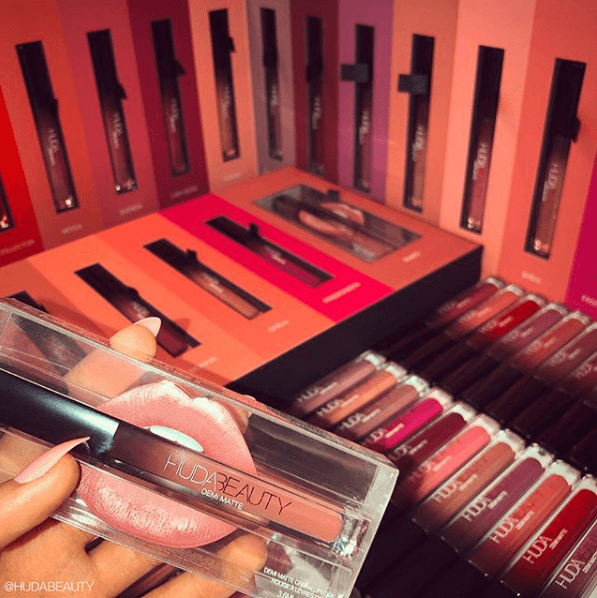 The full collection includes 15 shades at $20 each and will be available at Sephora and on Huda’s own website. This formula sets to a satin finish and is supposed to last for hours while being super comfortable and hydrating! 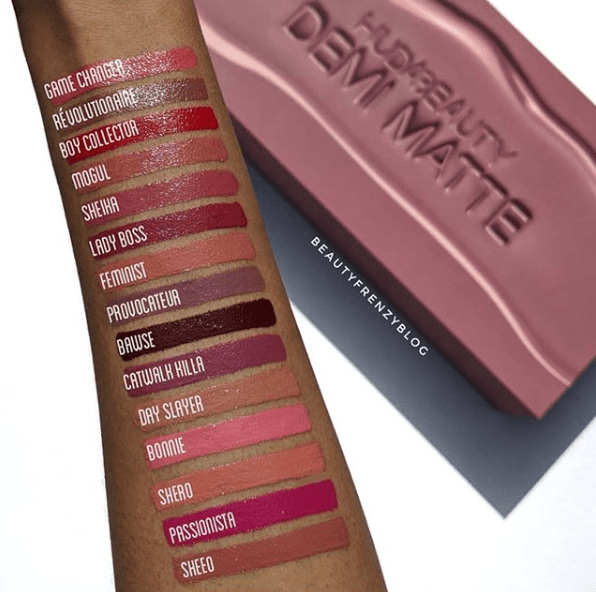 Demi matte is probably our favorite lipstick finish! It’s that perfect in between where it sets down enough to be fairly long lasting and stay in place without drying to the point where it’s unflattering on the lips and feels super tight and uncomfortable. Literally the best of both worlds! There are also just a TON of shades launching at once! Day Slayer is obv speaking to me off the bat but Provocateur is absolutely one of my favorite types of shades – that deep grayish purple that I can never get enough of. And at $20 each, these are fairly reasonably priced, too! Woohoo! Now go out and celebrate National Lipstick Day by getting you some new lippies!